Amazon has finally released its Echo range of devices in the Indian market. It includes the tiny Amazon Echo Dot, the Echo, and the Echo Plus. All of them supports Alexa, the voice assistant from Amazon, that can hear your voice commands and take actions accordingly. These devices are useful for hands-free operation to listen to music, latest news updates, cricket scores, Wikipedia, or even booking cab, ordering food, or even shopping from Amazon website. In fact, Alexa is just amazing at recognizing what you say and interpreting it quickly and perform the action. Kudos to Amazon for developing this kind of technology and bringing it to our fingertips. The Echo Dot is the lowest of all the three variants, which just contains the Alexa and a tiny speaker. The Echo has a large speaker included making sure your device can be heard from the whole room. The Echo Plus has a smart home hub in addition to the Alexa and the speakers. This ensures you can control your smart devices centrally without needing a separate hub for each of them. All these three devices are available on request. You need to request an invitation on Amazon to get yours. Also, as an early adopter of Amazon Alexa, you will get a 30% discount on their MRPs. 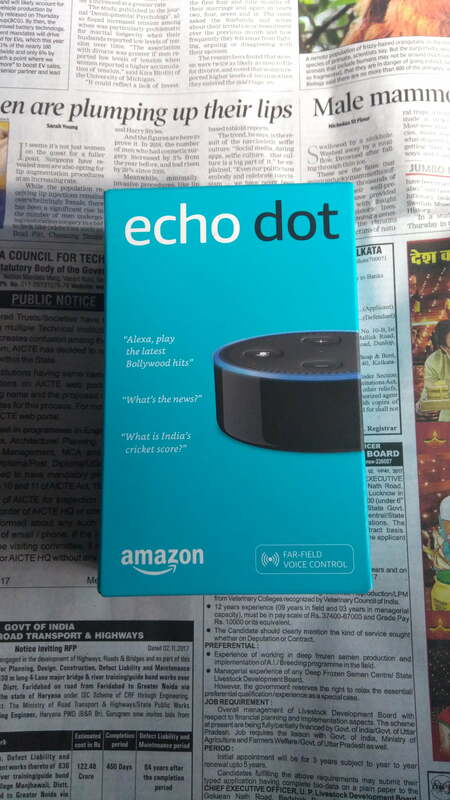 The Echo Dot generally costs Rs4499, but it is available at a discounted rate of Rs3199. The Amazon Echo generally costs Rs9999, but it is available at a discounted rate of Rs6999. 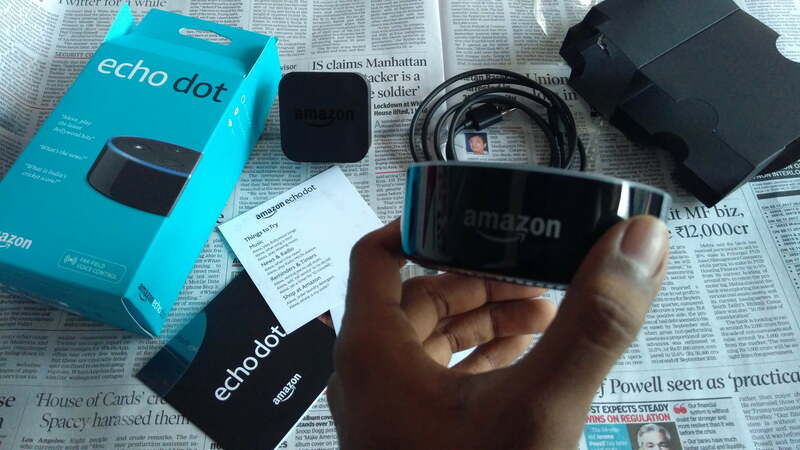 The Echo Plus generally costs Rs14999, but it is available at a discounted rate of Rs10499. But yes, before blindly ordering any Amazon Echo device, you need to make sure you are spending for the right kind of Echo device. Echo Plus you should buy only if you have any smart devices like lights etc in your house (or if you plan to buy them, or if you plan to control them with Alexa). Amazon Echo you should only buy if you don’t have any external speaker with you. The Echo speakers will be the perfect combo for you. And those who have external speakers at home, the Echo Dot will be sufficient. You can connect to your speakers using Bluetooth or aux cable. Remember, the Echo is nothing but Echo Dot + Speakers. The Echo Plus is nothing but Echo + Smart Home Hub. This should give you an overall idea. Still, if you want to read about this in details, then check out this post on Which Echo Device should You Buy? I saved some bucks and grabbed the Amazon Echo Dot myself because I already have my Bose Soundlink III Bluetooth Speakers. You can also buy some external speakers of your choice if you don’t want to spend 7k for the Echo. 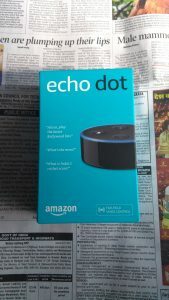 So, in this post, I am going to give you my reviews on the Amazon Echo Dot. I preordered it as soon as it released. I got it a few days ago. Well, I am not going to write this review like every other blog. Rather I will write as per my experience right from the moment I got the delivery. Let’s begin. At first, I was surprised at the package size. It was so small and lightweight. Anyways, after I opened the Amazon packaging, I got to see the Echo Dot Packaging. Well, the package included the Echo Dot of course, but in addition to that, they included a power adapter and a Micro-USB Cable as well. 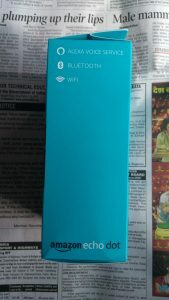 Apart from that, there were warranty card, product info card etc which told how to get started. Some of you were asking, whether the micro USB cable of the Amazon Echo Dot was similar to that of a Mobile Charger. This essentially means that you can connect your Amazon Echo Dot with your Mobile Charger only. But, in reality, you won’t get a scope to actually do it. You need to use the Echo Adapter and Charger only. This is due to the fact that the Amazon Echo does not have any battery inside. It does not store charge. So, it needs to be constantly connected with the mains 24×7 (or, at least the time you are active). So, eventually, you will need a separate cable to connect, which you can’t use for other purposes. Coming to the Echo Dot itself, you know how it looks right? That tiny circular shaped device, you have seen it. On the top of the Echo, there were 4 buttons. The volume up and volume down buttons are denoted by a Plus (+) and Minus (-) sign. There’s a microphone mute button if you press that, it won’t record anything and ignore even if you call Alexa. The other remaining button denoted by a Dot (.) fires up Alexa when you press it. There were tiny grooves around the circumference of the Echo Dot, which has a small set of speakers. But those are just for listening to Alexa, they are not sufficient to play music for your whole room. Also, the sound becomes kinda noisy at extremely high volume levels. So, an external speaker IS A MUST for the Echo Dot. Luckily, I have my Bose Soundlink III Bluetooth Speakers which I paired with my Echo Dot. The next few minutes were spent in configuring my Echo Dot. It is actually a bit tricky process, as there are 4 devices which come into play during the configuration process: The Echo Dot itself, the External Speakers which it will connect to, The Wireless Wifi Network which it will connect to, and the Alexa App in your Mobile. However, the Alexa App does a pretty good job of configuring the Echo Dot step by step. 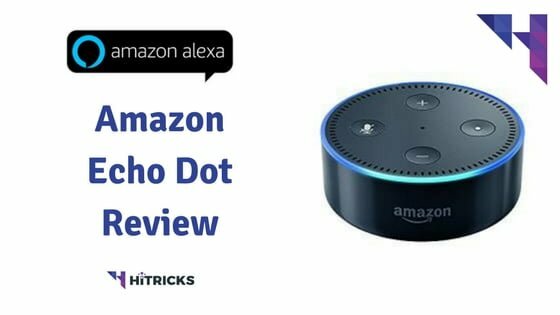 You can check out my other post on How to Set up the Amazon Echo Dot properly to make sure you have done all the steps correctly. Just follow the instructions I wrote one after another. I have also attached pictures which will help you further. Check that post out. After you are done with everything, Alexa will be able to listen to your commands and act accordingly. The very first thing you do after you set up your Alexa is enabling some Skills. Like you have a Google Play Store from where you can install Android Apps, Skills are like ‘Apps for your Echo Dot’. Each skill enables your Alexa to perform new tasks, according to the skill. All that your Alexa is capable of performing, including playing music, briefing you with the latest news, sports score, weather etc are all due to these Skills. Echo Dot comes with some skills pre-activated, including Amazon Prime Music, Saavn, NDTV and more. But you can enable and disable skills from the Alexa App Skills section. It contains more than thousands of skills to try out. Just open the Alexa App, click on the Top Left Menu and then click on Skills. You will come to the skills section. From here you can explore thousands of skills and enable the ones you need. The skills are spread categorically, so to help you out. Initially, if you are not sure, you can try out the ones featured on the Homescreen. Well, to help you out with choosing, I have made a list of 75+ Best Alexa Skills to make your Amazon Echo smarter. I am sure you will enjoy them. Check it out. So, now you have fully loaded your Amazon Echo Dot to its full potential, its time to start listening. Just speak “Alexa” and it will listen. Alternatively, you can click on the Dot (.) button on the top of the Echo Dot. But, I recommend speaking out, because, ultimately you have to give instructions over the voice only, to Alexa. 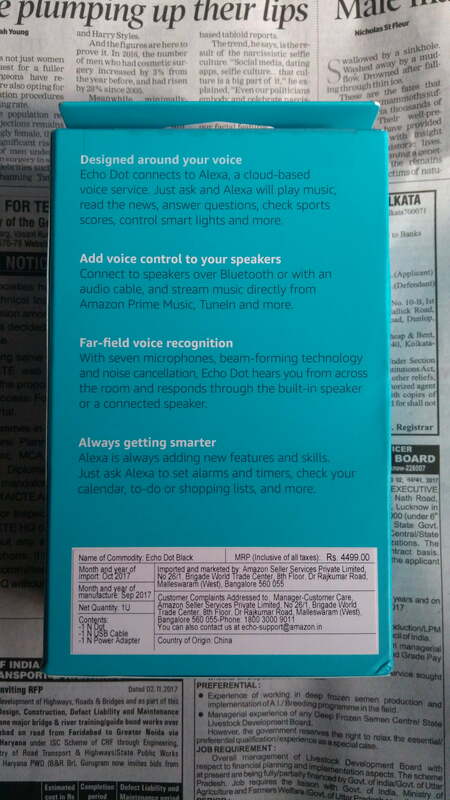 Many of you have asked me that, whether Alexa can adapt to our Indian accent of English. Yes, it can. And it does well. Amazon reported that it has fed Alexa with Bollywood catalog of Movies, so, you won’t have any major problem in requesting Alexa to play an album, as long as it is Hindi. But, for regionals, Alexa hasn’t improved much, which may be a disappointment for some users. Coming to what you can say, you can try out just about anything. Alexa is a voice assistant and will respond to everything you say. The Echo Dot can capture sounds from the far ends of your room, so you can instruct it from a bit away too. It recognizes your voice successfully. Here are the features I found on the Amazon Echo Dot. One of the features I liked is the ‘Flash Briefing’ feature. If you speak, “Alexa, where’s my Flash Briefing?”, Alexa will update you about the latest news updates from the News source of your choice. Sources include NDTV, ABP, Times of India, Hindustan Times, MensXP, Gadgets360, Indian Express, Aajtak, The Quint, JioExpressNews and hundreds of more. As of now, most of the news providers are English, and some in Hindi. Regional language news providers are unavailable as of now. You can set multiple news sources and order them accordingly. It will brief you in the order you set them, from one source to another. If you want to stay updated with the latest news, then you will find this option great. You can also get weather updates from popular sources. This is the chief feature for which the Echo Dot was designed, to play songs and music without needing a mobile phone or a computer. 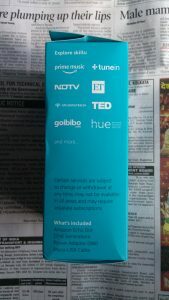 As of now, Amazon has integrated Amazon Prime Music, Saavn and TuneInRadio providers for India. More sources are expected in the future. I personally use Gaana. But right now I cannot use it with Alexa, but, thankfully, Amazon Prime Music has a great selection. To start a music, just say the Song or Album Name. “Alexa, play Chennai Express Songs”. Alexa will search for the song or album on both Amazon Prime Music and Saavn and play if it finds the album anywhere. But, most of the time, we tend to use Radios that play based on some mood. So, you can also say, “Alexa, play Bollywood songs” to start a Bollywood playlist. I have tried to fine tune it further, by saying, “Alexa, play Bollywood songs of 2016”, and it recognized that too. I liked the way it can make out the meaning of what you are trying to say, especially when it comes to music. One more advantage of getting a voice assistant in the Musical sector is that you can explore music which otherwise would not have been possible directly. Like, I said, “Play Romantic Instrumental Music”, and it started a customized instrumental playlist for me. This further enhances your experience of having an assistant by your side. The Musical controls work over the voice too. Simply say “Alexa Pause”, to pause the music which is playing. You can say “Alexa Resume” Or “Alexa Play” to resume playing. With Alexa, you can set voice reminders. Just say “Alexa. Remind me to go shopping today at 7 pm”, and you are done. Alexa will note it down. You can also say “Alexa, remind me on 31st December 11.59pm”, and Alexa will ask ‘For what?’. Then, you can state the reason, say, “New Year”. Suppose, you hear news daily at 10 pm. So, you don’t really need to ask Alexa every single day at 10 pm for a flash briefing. You can set routines for Alexa. And this is for anything, not just flash briefing. Amazon simplified the Routines section so that it becomes easy to understand. You can set Alexa action on the basis of two things. Either, Alexa does something based on what you say, or, it does something based on some specific time. So, you can use the routines feature to make it read the news or weather for you every day at a fixed time. You can also customize Alexa according to your instructions. Well, just say “Alexa, Good Morning” and it will greet you back in the morning. That does not end here. Alexa will also tell you about the importance of the day. If some important historical events happened on that day, Alexa will update you on it. Alexa allows you to integrate your Events with whatever device you are using. 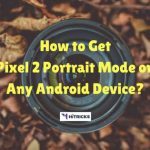 If you are using Android, you can import your Google Calendar, if you are using Windows, you can import the Microsoft Calendar, and if you using iPhone or Macbook, you can import your Apple Calendar into Alexa. With Alexa, you can order something from Amazon.in just by your voice. The product will be sent to your default address, and the payment mode will be your default 1-click payment mode. While Amazon tried to make shopping easier, I don’t feel this feature is doing justice. Firstly, say I asked Alexa to order some food product, how will Alexa know which brand and which quantity do I intend to purchase? There are so many brands out there and so many quantity packets available. It is more likely that I will end up ordering the wrong stuff. When we see something, that visual recognition helps in purchasing something. That isn’t the case with just the voice only. Secondly, regarding the payment mode, I don’t want Alexa to deal with my cards on its own. Out of security reasons, I refrained from testing this feature myself. I cannot give you any review of how this feature works. Amazon has partnered with both Uber and Ola to help you request a cab ride hassle-free. Yes, you need to give your account access to Alexa, only then it will be able to request a cab for your location. You can also personalize the type of cab you need. This is one of the very few hands-free operation which can be done with ease. I guess more services will be integrated into the Echo in the future. Want to know the fare of flight from Kolkata to Delhi for some day? You can check that just by your voice from Goibibo skill. I am not impressed. Generally, we check flight prices from multiple providers as they keep on providing offers. Train Tracks skill is made for checking PNR status, train route, and live train status. Again, I am not impressed. For something like this, I prefer using my Smartphone instead. Want to check out the restaurants nearby? Or Want to order food at your home? You can do that with these Skills. It has Zomato, FoodPanda, Freshmenu and more. While the idea is very novel, I didn’t find this skill much useful. Firstly, if you are in the mood of exploring restaurants, you will use your mobile phone to check out the restaurants, their foods, and their reviews. You can also sneak peak into the pics uploaded. Seeing the food creates a completely different experience. Just by voice, it is totally incomplete. Secondly, regarding the payment and the delivery, I am more comfortable if I can do that from within my app. In fact, Alexa is making it more inconvenient for me. Alexa has a lot of skills for each and every type of sports update. So, sports fans, you will love Alexa a lot. Ask Alexa for a sports update and it will deliver. But, regarding this feature implementation, I am a bit skeptical, but that’s due to a different reason. Well, Echo Dot is a home device, and we cannot carry it with us always. So, whenever we are at home, Alexa will help out with sports update. But hey, don’t we already have Television or at least online streaming available at home to watch? For a family usage, it is extremely unlikely that everyone will not watch a match directly and ask Alexa for score updates. Well, if you have exams next day, and you need to study, and you cannot watch the game. You can occasionally ask for updates. I didn’t find myself taking help from Alexa for sports updates at least. Got things to buy? Got a list of jobs to be done? No problem, Alexa will help you out with their List feature. It will take the list for you, which you can access on your Smartphone later. As of now, there are 3 skills for List creation inside Alexa. If you have Smart Devices inside your home, like smart LED Lamps, then you can control them with your Alexa once you set them up. Note two things: Smart Devices need a Smart Home Hub, something that isn’t present in the Echo Dot. You need to purchase it separately. Else, you can go for the Echo Plus, which includes the Smart Home Hub. Secondly, they are costly. Generally, the Echo Dot is meant for other functions. But of course, if you want to make use of Smart Devices then Alexa can control them too, once paired successfully. Amazon.in lists a set of compatible devices with Amazon Echo, including Philips lights, Smart Plugs and more. As of now, IOT hasn’t gained much momentum in India and it will take at least a year or two for us to see latest IOT stuff. The list does not end here. You can get a whole bunch of skills including some Games to play. One game I came across is somewhat similar to the Memory Games we played during childhood. Like I say some word, you repeat my word and say the second word. I will then repeat the two words and add a third word. These types of games can be played with the Echo. Other guessing games can also be played, like, guessing names of actors one is thinking about. Keep exploring and you will find a whole bunch of skills to try out. Here is the list of categories available where you can check thousands of skills: Business and Finance, Education, Food and Drink, Games, Health and Fitness, Lifestyle, Local, Movies and TV, Music and Audio, News, Humour, Productivity, Shopping, Smart Home, Social, Sports, Travel and Transportation, Utilities, and Weather. Also, don’t forget to check out my personalized list of 75+ Best Alexa Skills to make your Amazon Echo smarter. I am sure you will enjoy them. These are the early days for Voice Assistant Devices in India. Alexa has just started, and Google Home Mini hasn’t even stepped its foot in India. So, on the basis of getting customers, Alexa is definitely getting an advantage here. 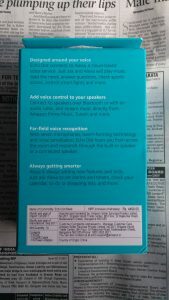 Amazon Echo Dot comes with a couple of features, I described them all above. You know what works and what does not work. But before I give my final verdict on this, ask yourself, Do you really need this? And for what purpose? If you are buying just for fantasy, then I will say you will get bored very soon. There’s nothing to explore every single day. 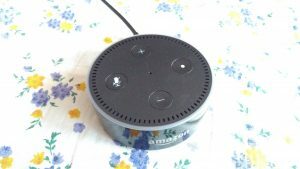 But if you are someone who has external speakers ready at their home, and use your mobile or computer to play songs regularly on them, then, you will like the Echo Dot a lot. And having that External Speaker is really useful, else you need to purchase one for sure. No matter what you do, I can guarantee you that most of the time, you will be just listening to the music on the Alexa. So, it is really important for you to realize whether you listen to music on a regular basis. Second thing, Instructions in English only. You can’t speak Hindi or other languages with Alexa. Anyways, if you let go of those silly attractions, then, it is quite fun! My Review goes Below in the Review Box! It is capable of doing a lot of things, but as they say, Jack of all Trades, Master of None. Form news to sports to weather updates, setting reminders, ordering cabs, creating lists, tracking orders etc you can do pretty much everything. But, most of them can be accomplished on a Smartphone better, making the voice experience inconvenient. But, those who regularly listen to music at home with speakers, they will find this device somewhat useful. It is not an ultimate need for every household, you can pretty much live without it, but it makes your life convenient to a great extent. Like, keeping your mobile free from playing music etc. Hence, I conclude, it is a smart choice, but not for everyone to adopt. So, go through the features again, and decide whether you need it or not. Thank You. Request an Invitation from Amazon if you are going to buy. Thanks for reading my article about the Amazon Echo Dot. I hope you had got the complete details of this device. And I guess I was able to clear all your doubts regarding it. As a final reminder, I want to say it again, the Amazon Echo devices aren’t portable, and needs to be connected to a power source 24×7. So, don’t think you can carry this with you. This is a home device like your TV, DVD Player etc. Well, don’t forget to share this with your friends and let them know about this. 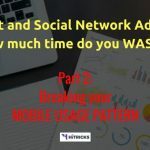 Use the social share buttons below. If you have any further queries, don’t hesitate and comment them below. I will try my best to help you out. That’s all for now, I will be back soon with another interesting update. Till then, stay tuned!